On the road with Kia’s newest model. A compact 2017 Kia Niro hatchback with crossover looks. The Kia Niro is a dedicated hybrid model, the first of its kind for this Korean brand. 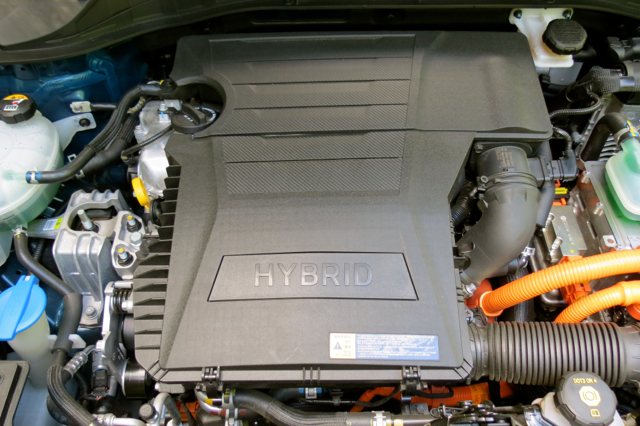 Yes, the Kia Optima Hybrid is the brand’s first hybrid electric vehicle, but it is a variant of a gas model. Not so with the Niro. What you have here is a compact hatchback with a crossover look, only the Niro’s ground clearance is 6.3 inches, which is not nearly enough separation for a crossover. Moreover, you’re looking at a front-wheel drive model with no off-roading pretense. That doesn’t mean you can’t drive over soft grass or on a gravelly road — you can — but that should be the extent of your adventuring. 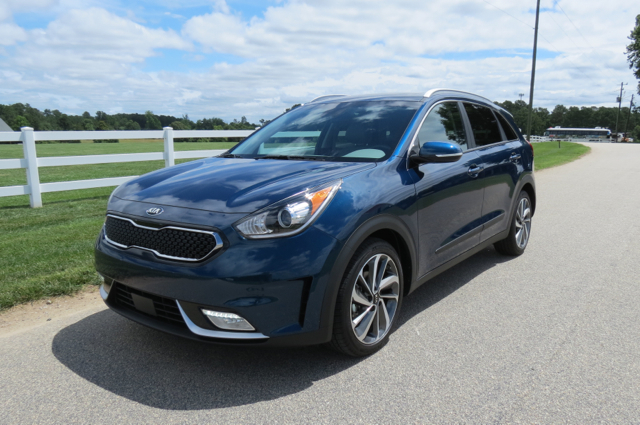 Instead, the Kia Niro offers an excellent blend of efficiency and utility — your fuel economy should approach 45 mpg combined city and highway driving. That’s amazing, but not entirely surprising as today’s hybrids will routinely top 40 mpg. This achievement comes as Kia, along with her sister company Hyundai, have developed an all-new platform of electric vehicles. Hyundai’s Ioniq line is broad and composed of hybrid, plug-in hybrid, and electric vehicles. Kia will get one additional model — a plug-in hybrid, but not a pure EV. The PHEV Niro arrives by year’s end. Kia chose a simpler route with a design that reminds me of the Toyota Matrix and Pontiac Vibe, twin models jointly produced until 2010 (2013 for the Toyota). 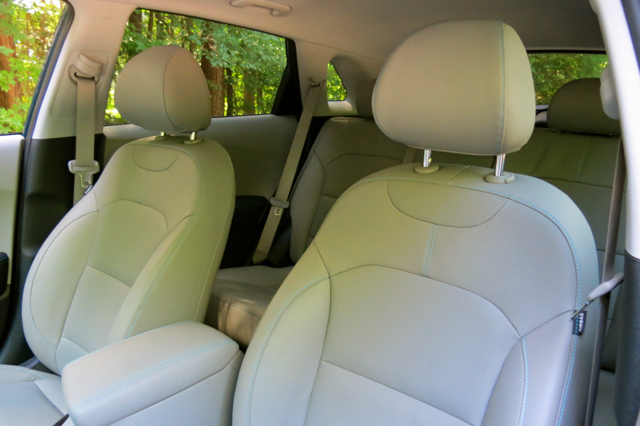 Like the Niro, both vehicles offered room for up to five and wagon-like utility, especially with the rear seat folded. 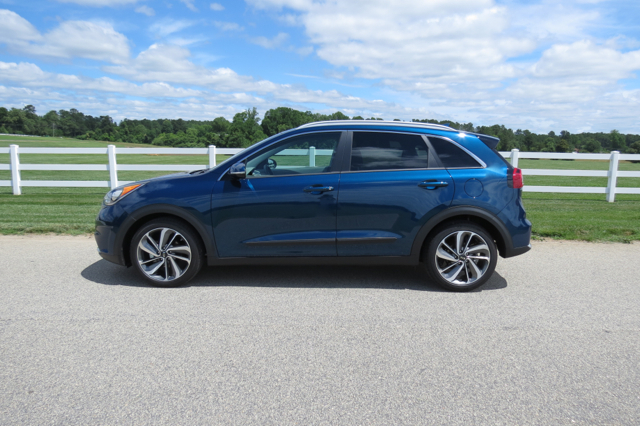 Because the Niro is a hybrid, you should compare this model with a contemporary competitor, namely the slightly larger Toyota Prius v.
The 2017 Kia Niro comes in four grades, plus a Touring Launch Edition ($28,000). The base FE ($22,890) is the most efficient, followed by the LX ($23,200), EX ($25,700), and Touring ($29,650). My test model was a Niro Touring with a sticker price of $32,445, including an $895 destination charge. Design elements common to the Kia brand dominate this hybrid. From the tiger nose grille to the sleek wraparound headlamps and from the distinctive character lines and body sculpting to the oversized taillamps, the look is an entirely familiar one. But there are certain elements unique to the Niro or at least offer this model’s own take on the brand’s expression. Oversized wheel wells, a rising beltline, and a sweeping roofline project sportiness. Unique alloy wheel designs, chrome-like touches, and diffuser-like trim round out the major differences. In all, you have a carefully conceived and handsomely executed package for your inspection. Inside, the cabin is roomy, offering six-way manually operated front seats and a 60/40 split fold-down rear seat covered in cloth. Standard equipment includes a tilt and telescopic steering column; steering wheel-mounted controls; cruise control; dual-zone climate control; a pair of 12-volt outlets; a rearview camera; Bluetooth connectivity; USB and audio ports; a seven-inch color display; and a cargo light. Apple CarPlay and Android Auto compatibility are standard. Upgrades are many and include fog lights and daytime running lights; 18-inch alloy wheels; LED taillights; power-folding side mirrors with approach, heating and turn signal indicators; roof rails and cross bars. 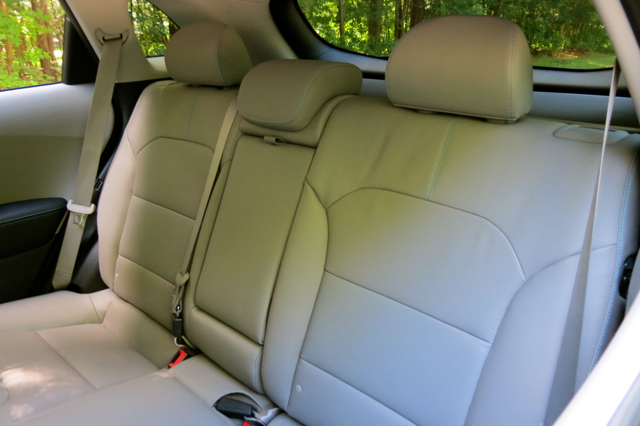 You’ll also find heated and ventilated front seats; leather-covered seats; a heated steering wheel; a power tilt and slide sunroof; an eight-inch screen, and satellite radio. All models come equipped with a four-speaker audio system with two tweeters. For the Touring grade, options include an eight-speaker Harman Kardon sound system and a wireless phone charger. All models offer a 1.6-liter four-cylinder gas engine, generating 104 horsepower and 109 pound-feet of torque and paired with a six-speed dual-clutch transmission. Situated between the engine and the transmission is the electric motor, also tasked with distributing power to the front wheels. 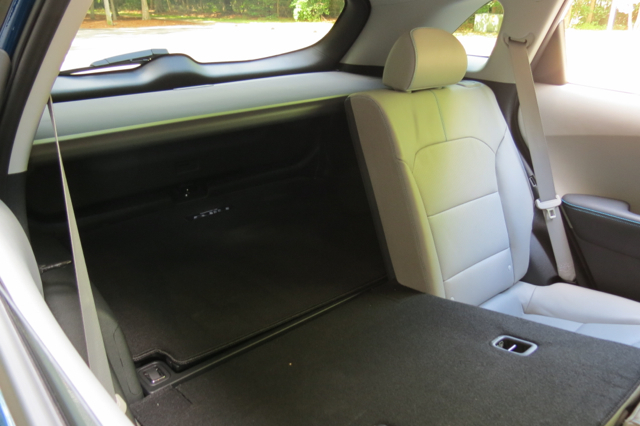 A lithium-ion polymer battery pack stores electricity and located under the rear seat between the rear wheels. The electric motor also serves as a generator, capturing wasted energy (such as braking) and sends it to the battery pack. Released earlier this year, safety test results for the 2017 Niro are not yet finalized. We always track crash testing conducted by the Insurance Institute for Highway Safety (IIHS) and the National Highway Traffic Safety Administration (NHTSA) and expect those results before summer draws to a close. All models come equipped with a suite of airbags, including a driver’s knee airbag. 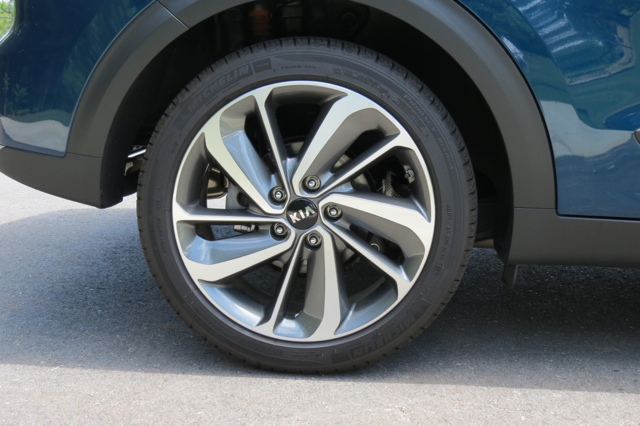 The Niro also has a rollover sensor, a brake assist system, hill-start assist, and stability and traction control. Move away from the base model and you’ll find such driver-assist equipment as available forward collision warning, lane departure warning, adaptive cruise control, and emergency braking. 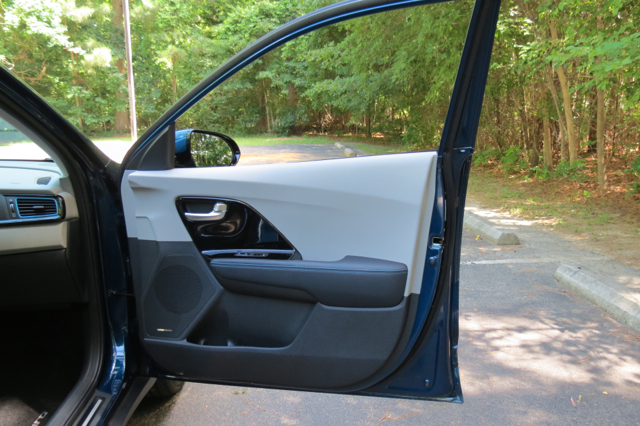 At the EX level you’ll find standard blind spot detection, lane change assist and rear cross traffic alert. Some hybrid models offer more kick than others. Consider the Kia Niro one that doesn’t match them. 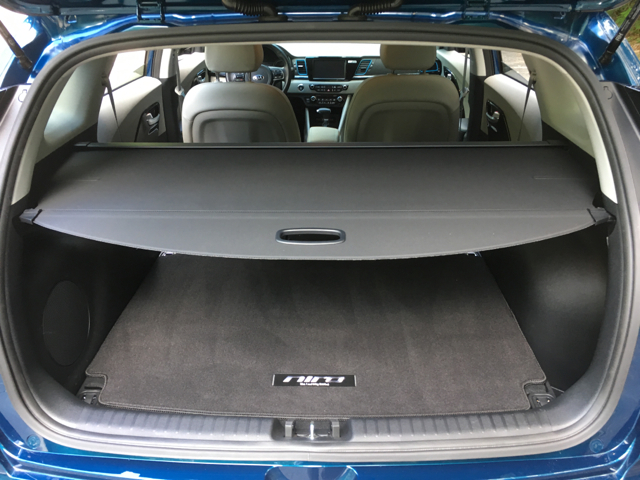 Then again, those models — including the Kia Optima Hybrid — have larger gas engines at work, delivering far many more horses to get and keep you moving. Off-the-mark acceleration with the Niro is sluggish, especially in Eco mode. Switch to sport mode and the engine ramps up and the transmission shift points narrow. But that’ll cost you in fuel efficiency. Like other hybrids, the Niro switches between gas and electric power, but taps both under hard acceleration. Power is sufficient, but when operating under full load — with four or five passengers, plus equipment — you may wish for more. The Kia Niro is a compact car and matches what other models in this segment offer in terms of ride comfort, steering, and handling. 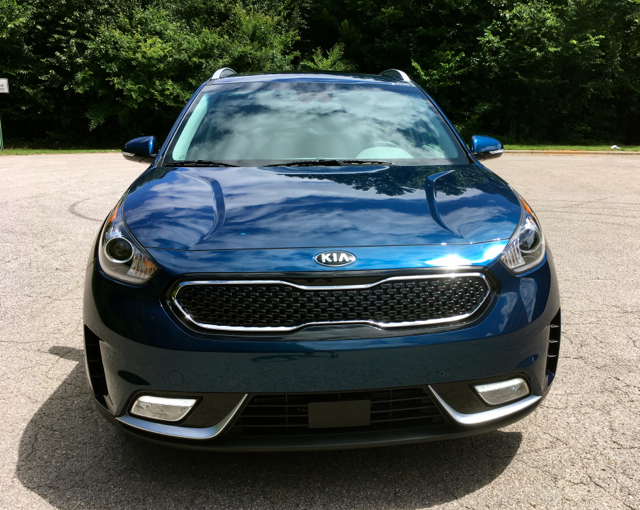 While spirited driving is not its forte — pun intended — the Niro matches the compact Kia Forte in all three areas, delivering no unpleasant surprises along the way. 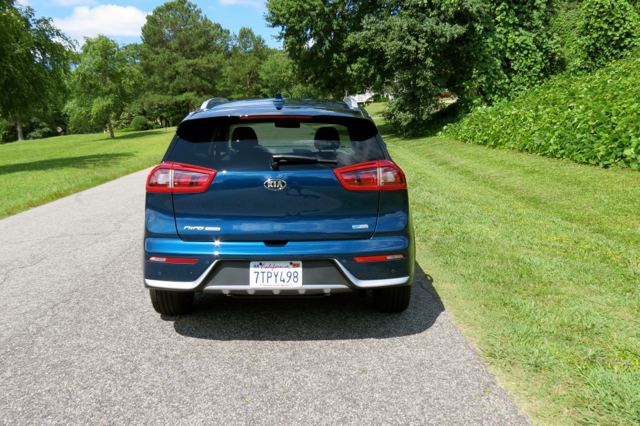 How well the Kia Niro sells in a segment where hybrid demand is slim is difficult to gauge. That said, the Niro’s low base price and utility are important considerations. This means you can find a well-equipped model for about $26,000 and enjoy stellar fuel economy and cargo space with it. There are no government incentives in place when buying a standard hybrid, but you’ll find one if choose the upcoming PHEV version instead. No doubt, Kia’s generous incentives — cash back, low-interest rate financing, and lease options — will sweeten the deal. 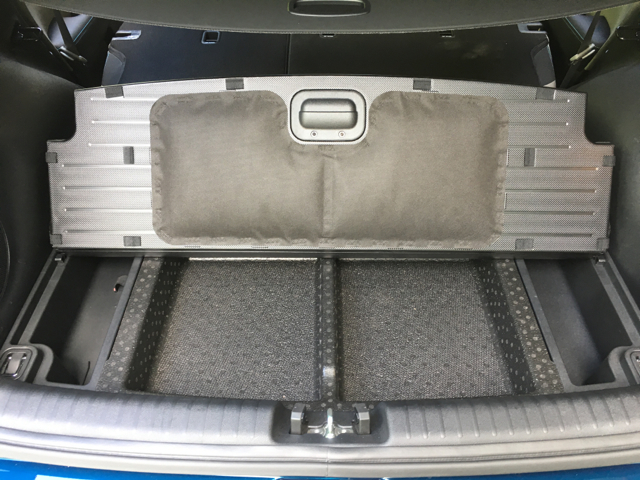 Compare this model to the starting cost for the Toyota Prius v ($27,565) and you’ll find a value proposition that makes owning a hybrid with generous storage space (perhaps your first one) too irresistible to let pass by.